TeamWave enables you to collaborate with your team members, clients and partners easily and keeps everyone on the same page. You can invite any number of your team members and your client/partner can invite any number of his team members to work on a TeamWave project. There is no limit on the number projects you can create. 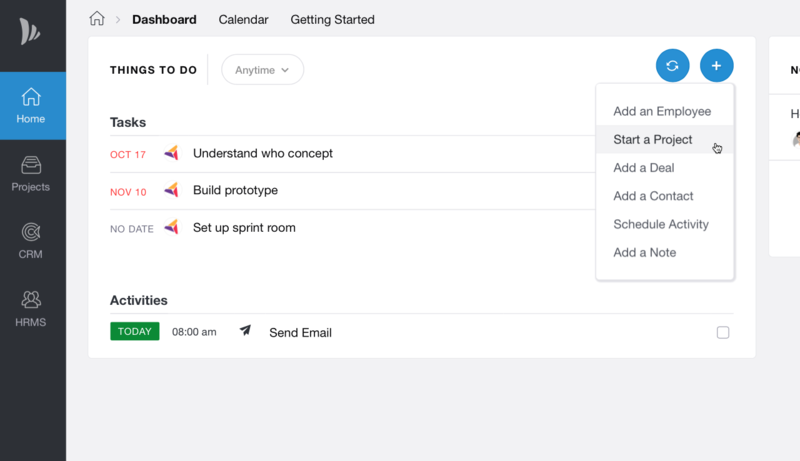 You can either add a project from Dashboard or from projects section. You can even add a new project from a Deal in CRM Section. Enter Project Name, Description and optionally upload an Image to as project icon. In My Team, you can add your team members to this project. In Advanced, you can enter details like project Start date, end date, Estimated cost & time and tags. You need PM Admin privileges to add a project.